• the request has not been completed. 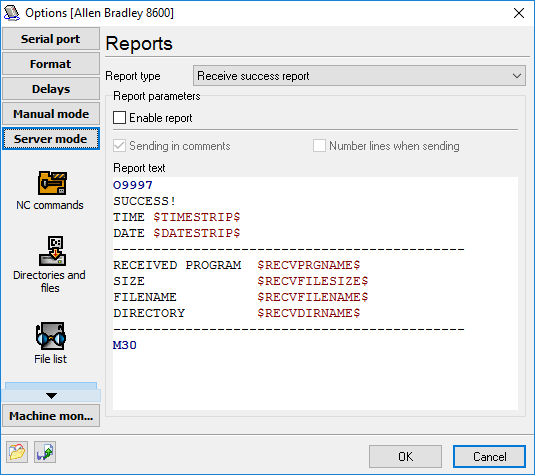 To edit report parameters, you should switch to the "Server mode/Reports" tab (fig.1). Report text – the report text template you want to send. You can use variables in the report text. Generating the reports the additional variable set for the reports can be used. Note: If you enable the "Number lines when sending" and "Send in comments" options, but you want some of the lines to be transmitted unchanged (without numbers and comments), put the '!' character at the beginning of the line (see the example below).